Fall Creek’s Gardeners’ Guide Now On Amazon! We received some exciting news here at Fall Creek today. Our new book, A Gardener's Guide To Blueberries, is available to purchase online at online retailer giant Amazon. The books is available for $4.99 plus shipping and handling. 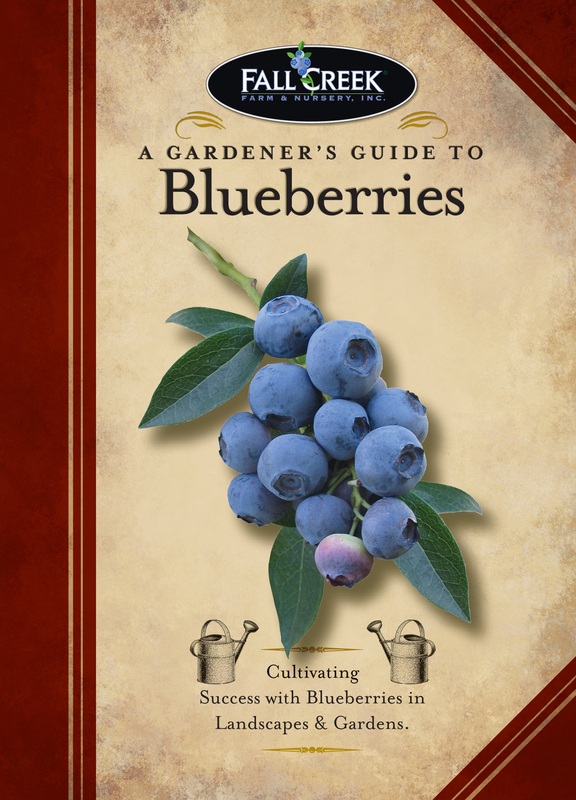 This charming little guide is packed with all home gardeners need to know to successfully grow blueberries in their yard or garden or in containers on their patios. We're quite proud of this guide for home gardeners. It was a collaborative effort amongst the whole team at Fall Creek. We took the vast knowledge of our seasoned blueberry professionals on staff here and distilled it down into one little how-to guidebook that ensures success through simple-to-follow steps and tips. Pick up your copy today and let us know what you think! Happy blueberry gardening!